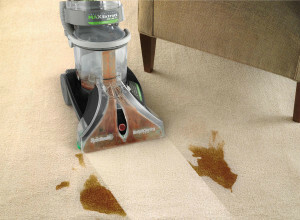 The Hoover Max Extract Dual V WidePath rivals the pros in its extraction capabilities. 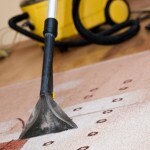 Could your carpet use a sprucing up? 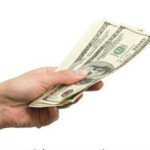 If you want to avoid rental fees or paying a pro for deep cleaning your carpet, purchasing one of the top-rated Hoover steam cleaners can be a good option. 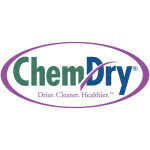 Hoover makes several effective and affordable steam cleaners specifically for household use, and consumers even report that the results they get out of their Hoovers is better than what they observed when hiring professionals in the past. 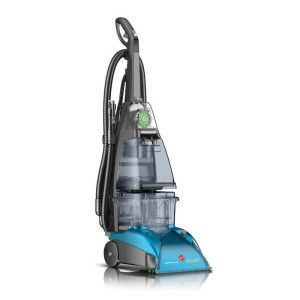 Below we provide reviews of the most popular models, but before we feature a comparison table showing some vital stats of the leading Hoover steam cleaners. 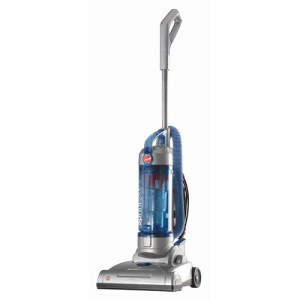 The Hoover SteamVac Carpet Cleaner with Clean Surge-F5914-900 is one of the most popular household cleaners. 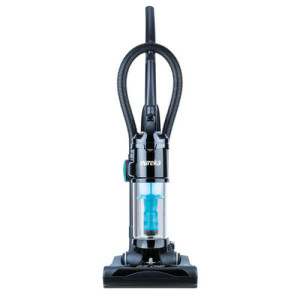 In the Clean Surge F5914-900, you will find one of the best-rated uprights in the product line for overall use. 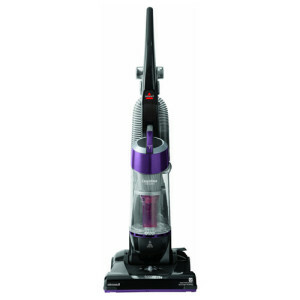 This machine features dual tanks, an 8 foot hose, and an extra-wide single V nozzle. 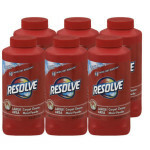 In addition, its “Clean Surge” technology adds extra cleaning detergent when you run across high traffic areas or stubborn stains. 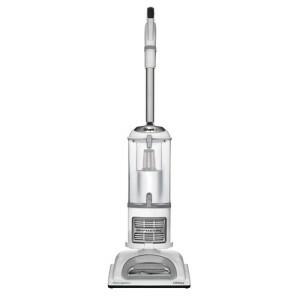 The Hoover Dual V All Terrain F7452-900 carpet cleaner is a machine that is designed to work equally well on all types of carpet heights, as well as on bare floors, with an easy transition. 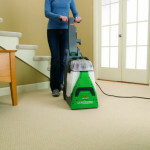 This machine boasts dual tanks for more capacity and fewer trips to empty and refill, an 8 foot hose, and a removable tool caddy. 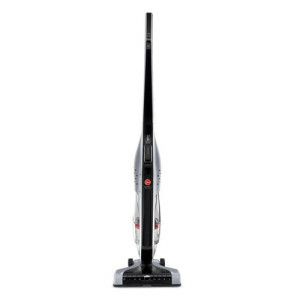 This model also has special features for cleaning hard surface, including soft wheels that won’t scratch smooth surfaces, a squeegee, and SpinScrub brushes. 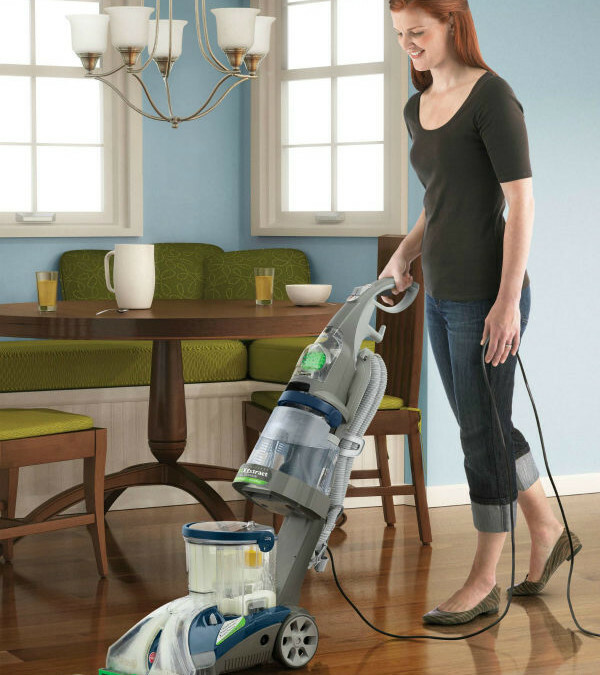 The “Dual V” design of the F7412-900 offers deep-cleaning power with the 12-amp motor, along with 3 different cleaning selections for spill pick-up, gentle scrub, or power scrub. 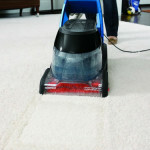 With the Dual V suction and 2 tank cleaning system, you experience wide path coverage that includes edge cleaning. 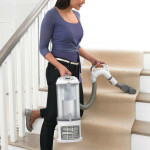 The deep-cleaning “SpinScrub” brushes get to the ground-in dirt and debris, while the 8 foot hose makes it easier to do stairs or upholstery. 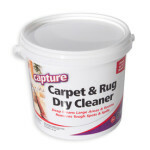 With a 30 foot power cord, you can cover a lot of space without interruption and the Dual V Wide Path makes it quicker to get your carpet cleaner. 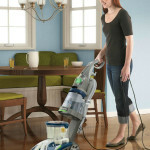 This Hoover Steam Vac Dual V review zeroes in on the pros and cons of this machine as told by actual users.